Summer Soba Noodle Salad: cold soba noodles, green beans, fresh green onions and grilled chicken on a bed of fresh baby greens, garnished with strips of roasted nori. There have been many inquiries on Vigan food so I do apologize for this overdue post. After all it did take me almost 9 hours to get to Vigan for “the” wedding . Next time….I’d rather take the plane for just a weekend! Roll out dough wrapper made with galapong (rice flour) and achuete oil (for the orange color). For the filling: saute Vigan longanissa meat (longanissang hubad) with shredded green papaya and cabbage. Then add a whole egg before forming the empanada and then deep-fry. Serve with sukang ilokos (vinegar) as a dipping sauce. The empanda vendors set-up shop at the plaza in the afternoons. Roti Kukus an Indonesian steamed bread. Roti Kukus literally means steamed bread (roti =bread, kukus=steamed, pronounce:rotie koekoes). Although its called bread but strange enough with this recipe you don’ t use yeast. So actually it looks more like a cake. When we were little and we came home for lunch break our mother sometimes made this Roti Kukus for us. Once she was making it, she made a few of these delicious bread and gave it also to our neighbors. They loved it! You can make it in different flavors and colors. Or you can even make little roti kukus, and there you have sort of cupcakes! Our favorite is Roti kukus with chocolate (of course what else hihi) and Roti kukus with cinnamon. I made these with a little leftover dough I had from my previous pizza post, so I couldn’t say exactly how many dough balls this would make. I realise that this is perhaps not very helpful so I should probably try them again and let you know; in the meantime they were so good I just had to share them with you right away! 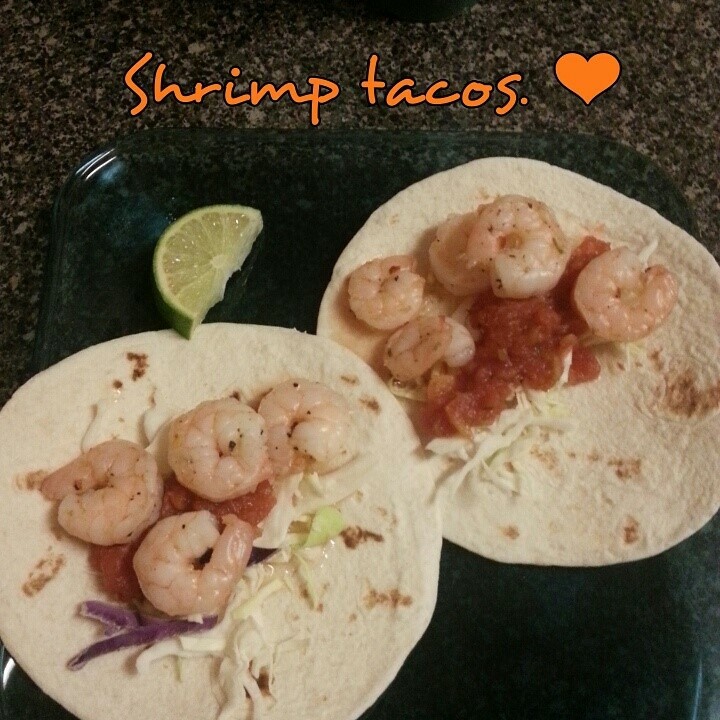 I have been craving shrimp tacos ALL week! On Cinco de Mayo I had fish tacos, but it didn’t satisfy my craving. Since I was off from work today, I decided that I was going to make them for dinner! My fiancé gets fish/shrimp tacos just about any place we go out to eat! So I made these tacos based off of what he usually get in his tacos and threw some ingredients together. Just because these are shrimp tacos does not mean they are fancy by any means. They take me less than 10 minutes to prepare. Who doesn’t love delicious, easy recipes after a long day? I know I do!